What Should I Do For My Child's Sunburn? A recent Texas mom’s Facebook post went viral after she shared her mother-in-law’s remedy for sunburns using shaving cream. Amanda MacMillan, a noted health reporter, talked to a dermatologist from Wake Forest Baptist Medical Center to get his thoughts on if shaving cream was a legitimate remedy. The doctor noted that ingredients in shaving cream, including menthol, glycerin, water, palm oil, coconut oil and aloe vera can be helpful in sunburns. So it’s not surprising that shaving cream can be a cooling and moisturizing topical to treat this condition. What is important to remember is that sunburns not only cause temporary pain and discomfort, but also increased skin cancers and aging of the skin. Therefore, sunburns are best avoided by sun protective measures, such as clothing, hats, umbrellas, shade, sunscreens/sunblocks, and even herbal products. Here are a few other things to keep in mind during this scorching hot summer. How do you treat your child’s sunburn effectively and safely? A sunburn is induced by UV radiation from the sun to the skin’s surface. It has been found to affect deeper layers of the skin than even heat-induced burns. Just as in any other type of burn, sunburn should be treated as soon as it is noticed to result in less damage and quicker healing. According to the American Academy of Dermatology once indoors it’s first important to cool the skin’s surface with cool baths, showers, or compresses. While the skin is still moist a bland emollient should be used, such as aloe vera. Other less commonly used products that have been shown to help include yogurt, baking soda in the bath tub, and apple cider vinegar. Hydrocortisone cream can help with itching and inflammation. Ibuprofen can help reduce inflammation. What should I not use? Petroleum or Vaseline containing products should be avoided because they trap the heat in the skin. Benzocaine and other numbing agents can result in irritant or allergic reactions, so they should be avoided. Sunburn can sometimes result in blistering. These blisters should not be opened as this can be a source of infection and more water loss through the skin. When is it so severe you should see a doctor? When a blistering sunburn involves a large surface area of the body, such as an entire back, or when the patient develops chills, headache or a fever, he or she should seek medical attention. Does it matter as far as the age of your child? Smaller children have more surface area to body mass so are more affected by severe sunburns and should be followed closely. Also, remember drinking extra water is important, as water can be lost through the skin from dilated blood vessels causing the redness of the skin. It also helps with hydration during one of the worst summers we’ve seen in at least a couple of years. 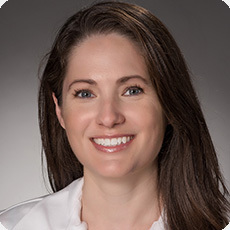 Get to know Heather D. Volkman, M.D. Dr. Volkman is a board-certified dermatologist with the American Osteopathic College of Dermatology and cares for both pediatric and adult patients with skin diseases, skin cancers, and skin care needs. Her special interests are in autoimmune diseases, geno-dermatoses, and inflammatory dermatoses, such as psoriasis and eczema. Dr. Volkman has been serving as a consulting dermatologist for Cook Children’s Medical Center and Texas Health Harris Methodist Hospital of Fort Worth for over five years, and volunteers for Tarrant County Medical Society’s Project Access. Click here to read more about Dr. Volkman. To learn more about the Dermatology department at Cook Children's, click here.